Every spring and fall, the National Aquarium Conservation Team (ACT!) recruits volunteers to restore habitat for wildlife, remove debris, and maintain trails at Fort McHenry National Monument and Historic Shrine in Baltimore. 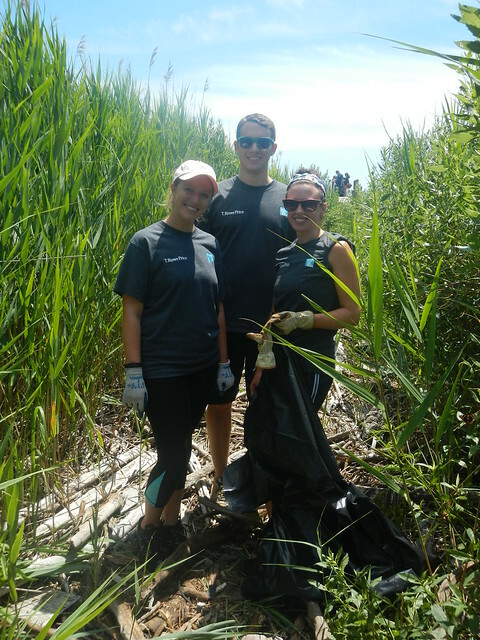 Since the National Aquarium took over stewardship of this marsh in 1999, volunteers have helped collect nearly 600,000 pieces of debris! Fort McHenry Field Days are more than just debris cleanups, however; work can include trail maintenance, light construction, or planting native flowers in our rain and butterfly gardens. This work all adds up to creating a valuable green space in the heart of Baltimore City that is utilized by hundreds of species of birds, reptiles like box turtles and diamondback terrapins, and aquatic critters like juvenile blue crabs and small fish. By joining us for a Fort McHenry Field Day, you can help make the marsh a cleaner place for native animals to live, and a great place for student groups from the city and surrounding counties to learn about marsh ecology. ACT! partners with the National Park Conservation Association, National Park Service, Maryland Port Administration, and Steinweg Baltimore to make this event possible.